The Scottish fashion designer Bill Gibb collaborated with the knitwear designer Kaffe Fassett to produce their first range of ready to wear knitted garments launched with the Autumn/Winter Collection of 1974. 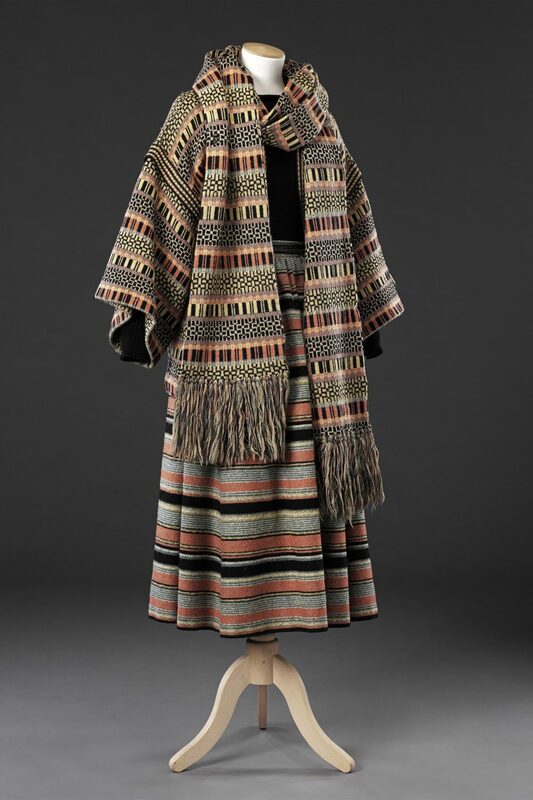 This three piece outfit, which was part of that collection, comprises a matching jacket and scarf horizontally patterned with geometric motifs in a style that was to become Fassett’s trademark, and a woven striped wool skirt. 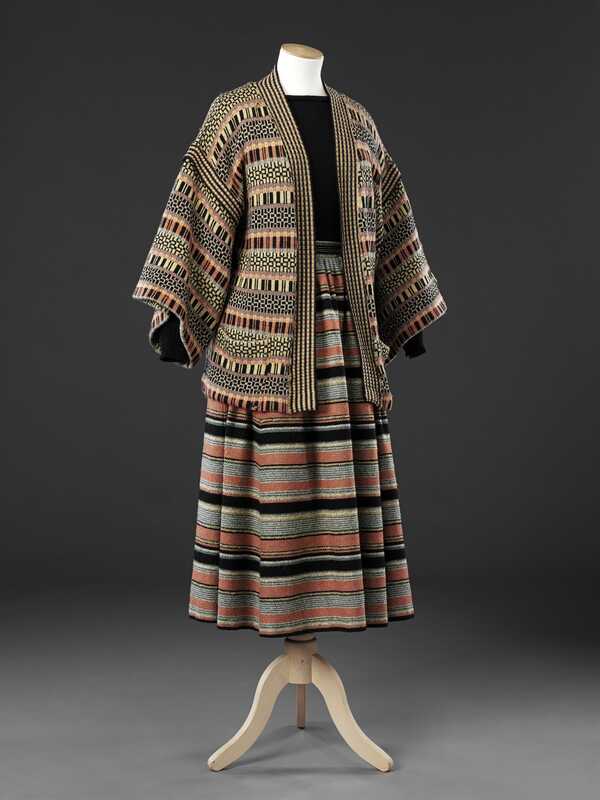 The range was designed to co-ordinate, other items including a woven jacket to match the skirt, and a shorter version of the knitted jacket. 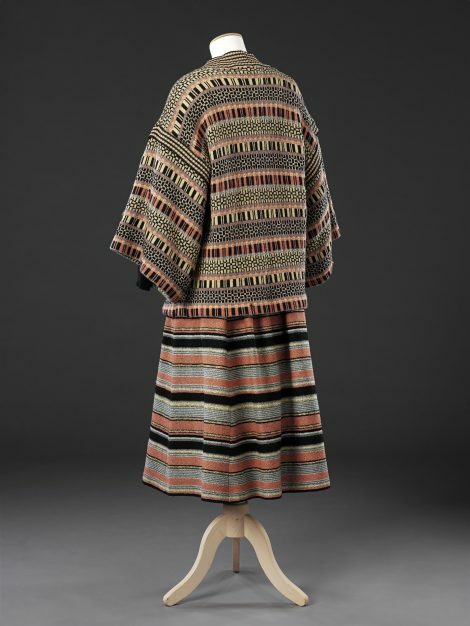 Each piece was loose, and simple in shape – or appeared to be so, and showed the influence of ethnic clothing. The kimono-like jacket was constructed of straight pieces, shaped only at the front edges. 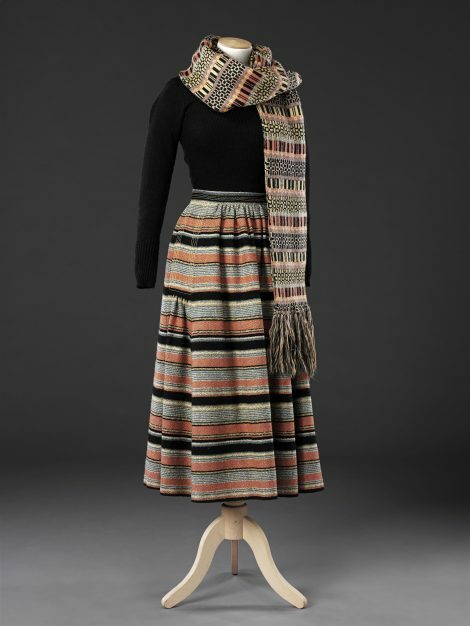 The skirt has the appearance of a dirndl, gathered at the waist, but is more sophisticated in cut: a pocket inset into each side seam has a broad, topstitched vertical border into the bottom edge of which the skirt is gathered, cutting down the bulk over the hips. 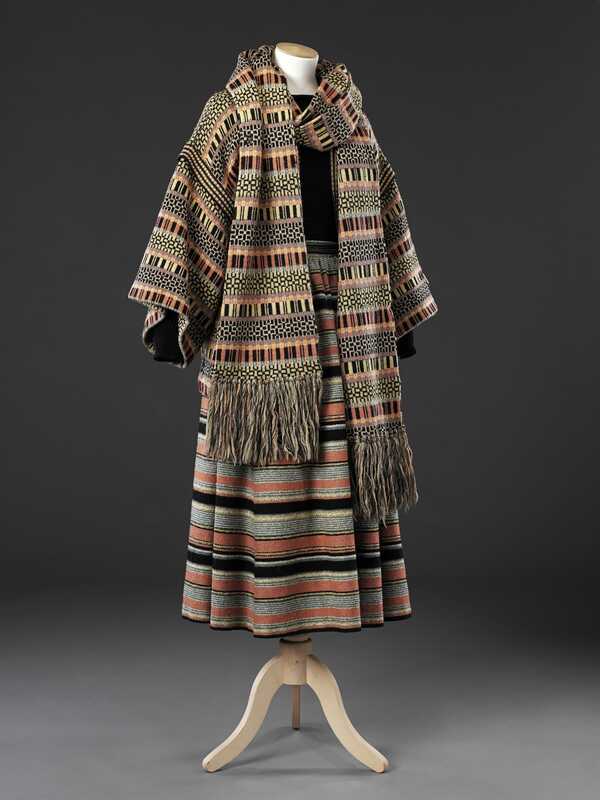 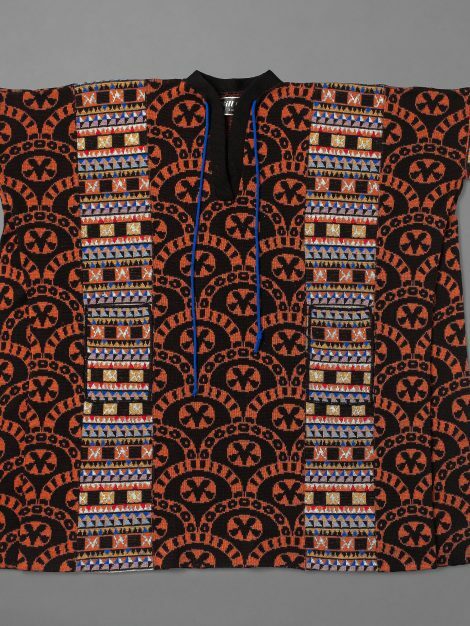 For more information on the knitwear of Bill Gibb and Kaffe Fassett, see Related Items.